Hello, this is Dr. Al Sears, MD. Since using stem cell therapy, I’ve found that it’s the biggest-ever advance in regenerative medicine. It’s creating a whole new field of medicine and it will soon affect every other specialty. Why is it so powerful? Because it’s centuries ahead of drug therapy and because it’s already present to repair whatever ails you. It’s what God gave us to fix something when it goes wrong. A stem cell breakthrough that targets the ROOT CAUSE of blood sugar concerns, heart aging, and volatile weight gain. You see, the hidden cause of these conditions lies NOT in blood sugar, but in your cells. As you age, your cells wither and die, losing the ability to burn blood sugar and shed extra fat. • Thick, hard-to-lose weight around your abdomen. • An aging, slower, weaker heart. • Chronic fatigue, lack of motivation, and energy swings. • Loss of nighttime vision and focus. • Foggy thinking and memory loss. • It goes on and on. Until now, modern medicine treated these symptoms with drugs that manage blood sugar… yet failed to tackle the underlying cellular cause. That’s where my stem cell discovery comes in. Even the Ivy League medical research teams are aware of the groundbreaking effect of this new cellullar technology. Think about that quote for a minute. That means no more sugar spikes… all-day long energy… and a metabolism that fires on all cylinders. And much, much more. That’s the healing power of stem cells! They reprogram your cells to become blood sugar burning machines. I’ve created the first-ever, one-of-a-kind, at-home stem cell breakthrough that gets you these results. It needs no prescription. It has no dangerous side effects. And it works in the time it takes to tie your shoes. I’ve had a lot of success with patients who have diabetes, hard-to-lose extra weight and fatigue. 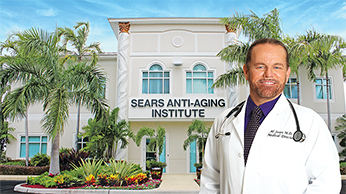 I’ve even developed specific protocols for my patients at the Sears Institute for Anti-Aging Medicine. Consider the story of one of my patients. I’ll use their initials, K.O., to protect their privacy. At age 50, K.O. had struggled to keep his blood sugar in a healthy range for a decade. When he first came to see me, his health was rapidly deteriorating. Despite taking 10 medications a day, his blood sugar and blood pressure levels were out of control. He also had serious kidney and lung concerns. In short, mainstream medicine was failing him. On his first visit, I told him about my 30-second stem cell trick, including the remarkable science behind it and the results it’s proven to achieve. And he didn’t think twice. He started treatment that same day! The decision changed his life, almost overnight. In just 24 hours, he told me his energy levels were higher than they’d been in years. But within 10 days, the results were stunning. K.O.’s blood sugar levels were 15% healthier! And that’s just for starters. ✓ And even improved kidney function! That’s the life-changing potential of this unusual stem cell trick. And this is just one example. I have a file drawer of stories from patients of mine who’ve seen similar results… all within a matter of days, or even hours! All thanks to this stem cell trick! You can replicate this trick yourself from home, without ever stepping foot in a doctor’s office! NO more worrying about out-of-control blood sugar. NO more dangerous, toxic solutions! So what are stem cells exactly? Why do they act so powerfully to stabilize blood sugar? And why haven’t you heard about this before? You see, runaway blood sugar starts with insulin-generating cells known as beta islet cells in your pancreas. These are like “smart cells” for blood sugar. When our blood sugar rises, they release insulin in response. But when our blood sugar drops, they stop. This is how our blood sugar levels stay normal. Now, we’re born with all the beta cells we need… and then some. Plus our body produces new ones to replace the old. 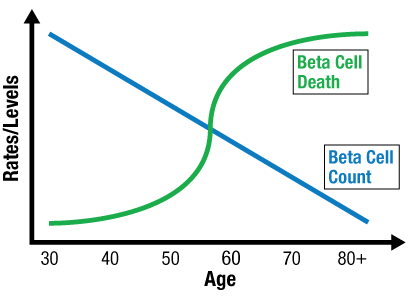 You can see in the graph that as you age beta cells are dying off faster than they are being replaced. That means you can no longer keep up with the increased insulin demands. And that’s when glucose really kicks in. It all wreaks havoc on our bodies, releasing oxidative stress that weakens and kills our beta cells. In addition, the tons of glucose in our bloodstream weakens our cells’ ability to respond to insulin. This means our beta cells have to work overtime, producing more and more. This exhausts, cripples, and eventually destroys these insulin-creating cells. With no replacements, our body is drained of the ability to produce the insulin it needs. This process, until now, was considered irreversible. But thanks to stem cells, that’s all about to change. Well, they have nothing to do with the “embryonic” kind that were so controversial years ago. Instead, I’m referring to “Pluripotent Stem Cells”. Cells that are inside YOU. These are “blank slate” cells that can be reprogrammed to become just about any type of cell in our body. When this happens, we are given fresh, new, young again cells. Cells that haven’t been beaten down, aged or diseased. Pluripotent stem cells are master cells that can make cells from all three basic body layers. This way, they can potentially produce any cell the body needs to repair itself. The discovery of pluripotent stem cells even won the Nobel Prize for Medicine in 2012! And generated billions of glucose-responsive pancreatic beta islet cells. The kind that function normally to balance blood sugar. That stem cells are the perfect solution for blood sugar. To living slim, energized, and young — with a healthy heart, eyes, brain, skin, and more! Researchers from MIT and Boston Children’s Hospital built upon the previous study’s results. 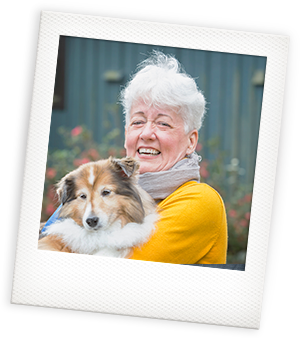 This time they treated animals with blood sugar problems using stem cells. Plus the new beta cells were impervious to the body’s immune response. That’s why they are so powerful, and so long-lasting. Blood Sugar Patients Saw Their Insulin Levels Normalized — For 5 Years! 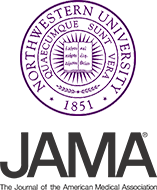 A team led by Northwestern University researchers took it a step further… treating patients with their own stem cells. The findings, published in the Journal of the American Medical Association, were absolutely breathtaking. And five years later, tests showed they maintained healthy levels of insulin and blood sugar. All with just a single one-time dose! The patients also saw major support for healthy pancreatic beta islet cells. Stem cells are the blood sugar “miracle” we’ve been waiting for! The World’s Biggest Medical Universities And Hospitals! With all of the remarkable science behind stem cells, it should come as no surprise that Big Pharma is champing at the bit. The big drug conglomerates are scrambling to get their hands on stem cells before you do. To create a drug, you need to first invent a formula. And then patent it. But stem cells are natural. They are your cells. They exist in YOU. In other words, the big drug conglomerates are working to patent our own bodies! 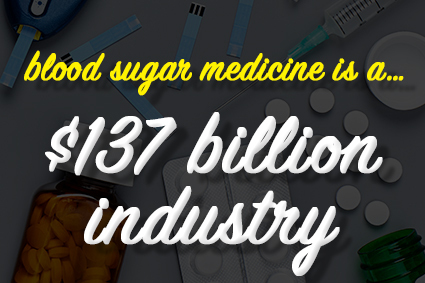 Because the market for blood sugar medications is huge. Market estimates put it at $137 billion. Three million new people suffer with runaway blood sugar every year. Big Pharma wants to concern the market, stopping any potential threats to its power and money. You do NOT need Big Pharma, the FDA, or hospitals. You can harness the power of your body’s stem cells to normalize your blood sugar and insulin levels — WITHOUT dangerous drugs, surgeries, or even a doctor’s visit. The solution for your blood sugar, abdominal weight gain, heart concerns, low energy, brain fog is already inside YOU. And after years of research, I’ve created a solution that unlocks your body’s stem cell reserves. 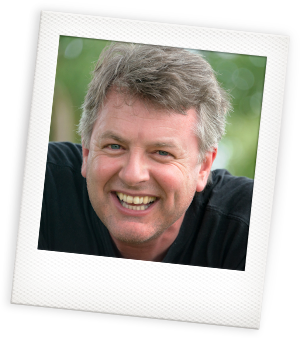 “I have seen Dr. Al Sears three times in the last four months and the results have been amazing. I feel the best I have in decades. My risk of a heart episode is extremely low based on two widely accepted measures. My support for healthy HDL (“good cholesterol”) levels increased by 60%. My body fat is 20%. I’m now wearing slim shirts and Jim Crew’s slimmest jeans. My bone density is that of a 20-year-old. My lung capacity has improved significantly. Recently, I’ve hiked 8 miles in 7,000 and 8,000 ft elevations without any concerns. “Dr. Sears has helped me with my blood sugar health. After three months of seeing Dr. Sears, my blood sugars are better than ever. I feel better. I feel good. I have much more energy. “Like many people I have been fighting a combination of concerns. Blood sugar concerns, blood pressure concerns and volatility in my weight. In the last half of 2016, the wheels fell off. A combination of a demanding job, bronchitis and mostly marital stress caused me to gain 26 lbs. I had trouble keeping my blood pressure healthy and my A1C was 7.6. My conventional doctor chewing me out didn’t help much. I had followed Dr. Sears for several years. I had asked my doctor about issues Dr. Sears raises like hormones. My doctor dismissed it. Having turned 53 I decided to try the Dr. Sears’ path and took a day trip to Florida. After three months my blood pressure is in a healthy range, my A1C is 6.7 and almost every metric improved. My doctor was irate. I asked how many people show the positive reversal I have. At 6 months my A1C is 6.3. At 9 months I know my A1C will be even lower. My blood sugar is in the healthy 123/73 range today. I’ve lost 26 lbs. 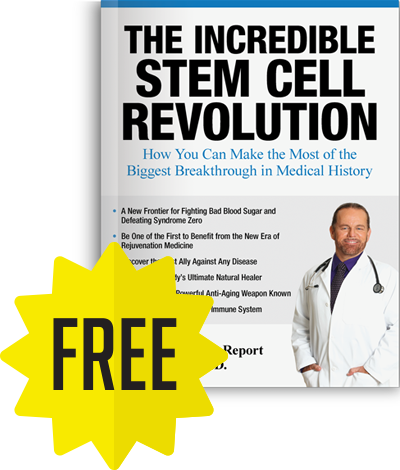 What is The 30-Second “Stem Cell Trick” To Ending The Blood Sugar Nightmare? My 30-second “stem cell trick” includes four of the most powerful stem cell boosters known to man. And it has nothing to do with drugs. Instead, these are safe, simple, and NATURAL ingredients. Nutrients that studies show balance blood sugar AND, not coincidentally, boost your body’s stem cell count. In my experience, drugs just don’t make the cut. Thirty years ago, Tufts University researcher Dennis Steindler made the first discovery of neural stem cells in the brain’s hippocampus. He found these cells could morph into any kind of cell in the brain and repair damaged tissues. Decades later, he says that the production of stem cells is too complex for drugs. Stem cells are impacted by hundreds of different genes and protein pathways. Drugs, on the other hand, will only target a single gene, which will ultimately fail to grow new stem cells. This is the exact same thing I’ve done to boost my patients’ stem cells for years! What’s more, these stem cell boosters actually compliment and strengthen one another. That’s why I’ve added them all in one easy-to-take capsule that’s available to my patients and the public. You’ll see more on that in just one moment. But first, allow me to share with you a little about each of these ingredients. Starting with the most powerful stem cell booster I know of. Turmeric has gained fame as the most powerful healing herb in the world. For years, I’ve called it the $1 pill that heals everything. And that’s no exaggeration. 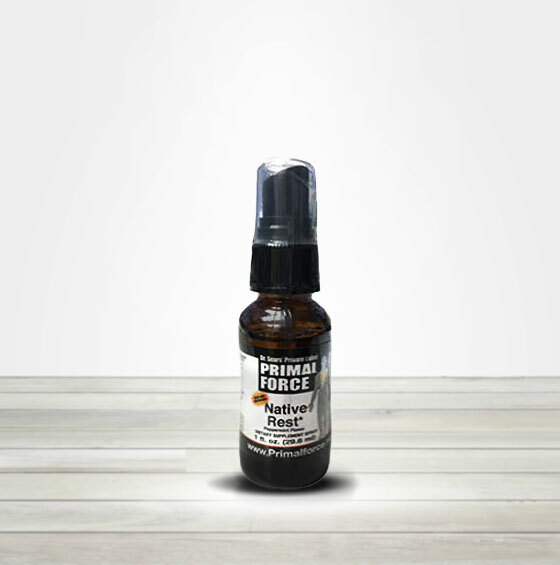 It has powerful healing potential for no less than 700 health concerns. There’s nothing it can’t do for your health! That includes better support for blood sugar levels than any solution available. 100% Healthy Blood Sugar Results! Patients were given turmeric, or a placebo. And every patient given turmeric saw these results! Why is turmeric so powerful at enhancing our pancreatic beta islet cells, resulting in healthier blood sugar? Another body of research provides the answer: the miraculous healing power of stem cells. And what happened next was stunning. But the stem cells actually turned into real brain neurons. This means it restored the brain’s natural capacity to heal itself! All in just 72 hours! Researchers combined turmeric with stem cell therapy to treat severe spinal cord injury. This is why turmeric is such a blood sugar “powerhouse”! This is just one of my key ingredients I’ve added to my stem cell protocol. There are other proven cell-enhancing nutrients that make this technology unlike any other invented. Like cinnamon, but not the ordinary cinnamon we put in our tea, oatmeal, or desserts. You won’t find this spice in your typical grocery store. But its blood sugar balancing powers are legendary. 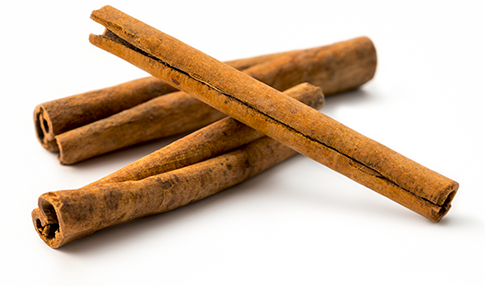 Researchers concluded that as an “insulin mimic,” cinnamon was second to none. Compared to every other natural herb in the world, cinnamon boosted sugar metabolism in cells by 2,000%! The USDA also wanted to see the effects of cinnamon apple pie on blood sugar. The researchers expected it be bad, but they were stunned when the blood sugar results turned up healthy! In other words, cinnamon supported healthy blood sugar — even with all the sugar and carbs in the pie! Within weeks, they saw an average 20% drop in blood sugar compared to the placebo group. Some even saw entirely healthy blood sugar levels! Not surprisingly, patients staying on cinnamon continued to have healthy blood sugar levels compared to those who stopped. In just 40 days of taking cinnamon daily, a group of patients saw enhanced marker for triglycerides, total cholesterol, and LDL (“bad”) cholesterol. Again, not just any cinnamon will cut it. To see these results, you’ll need Ceylon — the “real”, rare form of cinnamon from Sri Lanka. This is one of the key ingredients of my 30-second stem cell trick, which you’ll see in a moment. While using an ancient herbal medicine to treat diarrhea in a patient, they accidentally uncovered its power to considerably support healthy blood sugar levels. And Chinese doctors have been using it ever since. This powerful herb is called berberine. 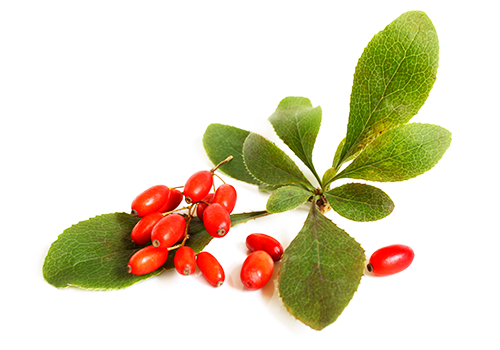 Berberine is a plant phytonutrient extracted from a number of medicinal herbs, such as barberry and goldenseal. And its performance in human blood sugar clinical trials has been simply amazing. Berberine works in a few different ways. ✓ Support healthy cellular response to insulin, allowing our cells to burn sugar optimally. ✓ Supports healthy glycolysis, helping the body break down sugars inside cells. ✓ Supports healthy sugar production in the liver. I’ve seen patients in my Sears Institute for Anti-Aging Medicine have healthy blood sugar taking one 500 mg capsule two to three times a day with food. One study of blood sugar patients who took 1,000 mg of berberine per day saw improved normal blood sugar levels by more than 20%. This same study also showed that berberine improved healthy levels of hemoglobin A1c (a critical marker for long-term blood sugar levels) by 21%. And a comprehensive scientific review of 14 different berberine studies revealed that it was as effective at keeping blood sugar healthy as the #1 most popular solution, without the side effects. 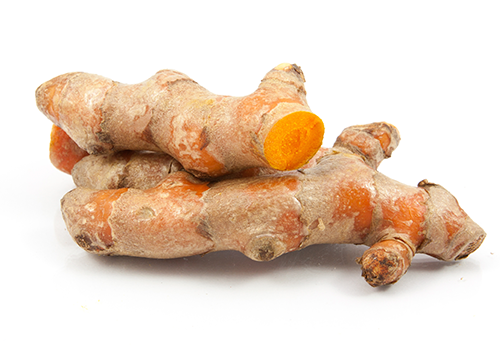 • Turmeric, specifically a powerful dose of its active ingredient curcuminoids. • Ceylon Cinnamon, the real kind you can’t find in typical grocery stores or on desserts. That’s because it supported healthy pancreatic beta cells, enhancing both insulin response and blood sugar metabolism. 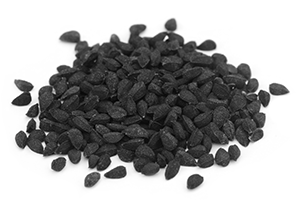 In a study with 94 blood sugar patients, black seed was given alongside their oral medications.30 Twelve weeks later, researchers reported significant healthy blood sugar levels and decrease in insulin resistance, along with healthy, functioning beta cell count. In other words, black seed is about as close as it gets to actual, pure stem cell use! Ingredient #5: This bitter fruit attacks runaway blood sugar with a three-pronged approach. I uncovered the cerasee vine during my excursion through the mountains of Jamaica. The Jamaicans who eat the reddish-orange fruit and its seeds are known for their iron-hard bones and incredible health. My friend Ivey Harris, the last living descendant of the 500-year tradition of Maroon herbalists in Jamaica, tells me that they’ve been making tea and tonics from the leaves for centuries. They use it for rashes, stomach pain and support for healthy blood sugar. 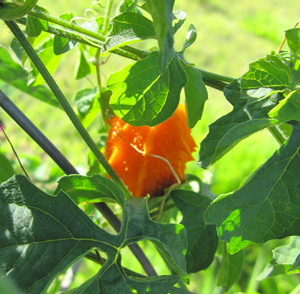 Although it may be unknown to most people in the West, cerasee, or bitter melon, has long been used in South America, the Caribbean, East Africa, and the Orient as both food and a natural medicine. And more than 100 scientific studies prove its for blood sugar concerns. Its scientific name is Gymnema Sylvestre. For more than 2,000 years, people in India have used this herb to help maintain healthy blood sugar. In fact, the leaves of this climbing plant are prized by practitioners of Ayurvedic medicine, the holistic system of healing. The herb is also called “gurmar,” which means “destroyer of sugar” in Hindi. This name describes the way that chewing the leaves interferes with your ability to taste sweetness. Because this herb decreases the sensation of sweetness in many foods, it may reduce your cravings for sugary snacks. In one study, 22 patients struggling to maintain normal blood sugar levels took gymnema sylvestre daily for 18-20 months. The patients also saw healthy insulin levels — a marker of normal beta cell function! In another study, animals struggling to maintain healthy blood sugar took gymnema sylvestre for 20 days. Ingredient #7: 90% of American Adults Lack This Critical Insulin Mineral! Another weapon in nature’s arsenal of sugar fighters is the mineral chromium. Chromium aids in digestion and helps move blood glucose from the bloodstream into the cells for energy. It also helps turn fats, carbohydrates, and proteins into energy. Chromium is also critical for healthy insulin function. Without enough chromium in your body, insulin just doesn’t work properly. Chromium exists in many foods, including brewer’s yeast, meats, potatoes (especially in the skin), cheeses, molasses, whole-grain breads and cereals, and fresh fruits and vegetables. You get all of this — and many other stem cell boosters — in my blood sugar, metabolic-restoring formula. You may have tried different blood sugar solutions in the past. But I guarantee you’ve never used anything like RECOVERY Metabolic Rescue. That’s because it harnesses the healing power of stem cells. And stem cells do more than just give you excellent blood sugar numbers. It seems like every day the new science shows their healing potential is second to none. There’s almost nothing they can’t do for your body… no result they can’t deliver… and no health concern they don’t address. “In 2008, I had a heart attack. Four days later, I had quadruple bypass surgery. It saved my life, but then my cardiologist put me on 2 Blood Pressure pills, Plavix, and 1 Cholesterol drug. All the medications made me feel like hell. The Plavix made me confused. Still, I followed my doctor’s advice for 2 more years. One day, I wandered into a Nutritional Supplement store looking for something that might help. The woman in the store gave me the name of Dr. Sears and the number of his health and wellness center. She told me that Dr. Sears tries to avoid prescriptions and helpa you heal naturally. She assured me that he is a real medical doctor. I made an appointment and went in. I received a non-drug therapy of supplements, and almost immediately, I started to feel better. My follow up blood tests kept getting better and better. At 64 years old, I cannot remember feeling this good, even as a kid. And I seem to feel better and better everyday. 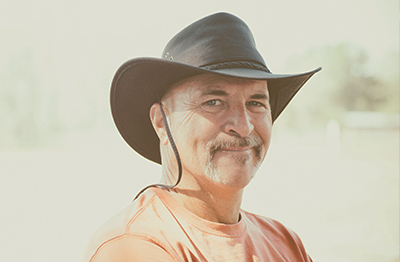 I have been following Dr. Sears’ advice for less than one year, and I feel better, sharper, and more alive than after 5 years using traditional medical doctors. When I first saw Dr. Sears, my arms were flabby. Now I have muscles. I am exercising again… yoga, sit-ups, pushups, jumping jacks. My body is getting toned… surprisingly toned. It looks almost like it did when I was in high school. My anxiety level is way down!!! I can focus and concentrate again. There has been a vast improvement. I certainly don’t feel 64 anymore. I feel much younger. I feel so darn good its beyond description. I sometimes walk for 2 hours, and I ride my mountain bike for hours. I never thought I would be able to do these things again after my heart surgery. I am totally astounded that something this obvious is totally ignored by mainstream medicine. Another great improvement is that my heart responds now. While I was on the Beta blockers, it never seemed to do anything. Now, when I work out, I feel my heart pound. If I get upset, my heart pounds. And it started to respond only a couple of days after I went off the meds. I have often recommended Dr. Sears to many of my friends and clients. I think Dr. Sears’ message is valid and badly ignored. Traditional medicine goes out of its way to keep this hushed up. It seems like their money and greed trumps the good of the community. That’s why I want to give you the opportunity to see the life-changing results of stem cells for yourself for just pennies on the dollar. But first, I want to share with you another BIG benefit of stem cells. It has to do with a brand-new health threat that now kills no less than 32 million people per year. And that’’s just to name a few. While these are all treated as isolated diseases… they’re really symptoms of one condition. A condition that’s now afflicting millions of Americans, and counting. Before World War II, people never had to worry about diabetes, heart disease, or obesity. In fact, these diseases were almost entirely unheard of. But since then, everything has changed. These diseases are now everywhere. In our neighbors, friends and family. The mystery has boggled medical researchers, yet they’ve refused to dig below the surface. That’s why I’ve spent years getting to the bottom of what’s happening. And now, I’ve done it. I’ve diagnosed the one single condition that’s causing it all. I’ve named it Syndrome Zero. It’s actually more like a plague, because at the current rate it could afflict almost EVERYONE. In a matter of years, it could impact over 5.1 BILLION people around the world. The mainstream medical establishment can’t diagnose it. They have no way to treat it. Instead, they treat each of the symptoms with dangerous drugs that make the condition WORSE. In short, there’s was absolutely nothing to stop the rapid advance of Syndrome Zero. You see, I’ve devised a first-ever, breakthrough protocol for Syndrome Zero. And I’ve included the full details in my latest brand-new, cutting-edge dossier. 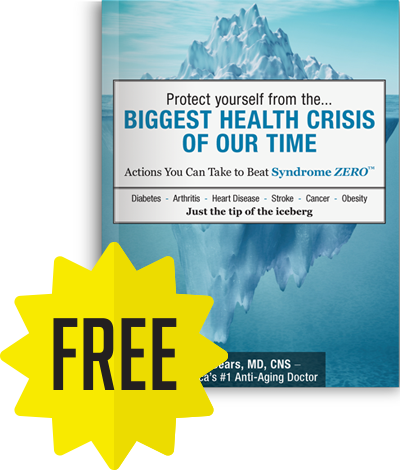 ✓ The simple, non-drug protocol to REVERSE Syndrome Zero — it’s worked wonders for my patients and attacks this condition using a four-pronged approach. ✓ The unknown process that is forcing your body to make fat… and what you can do to stop it. ✓ Why Big Pharma drugs don’t treat Syndrome Zero — and actually make it WORSE. Must-see: the one so-called “blood sugar” drug that ruins your blood sugar levels. You’ll get complete details on Syndrome Zero and the protocol to stop it in my full dossier. There is no way to put a price on this type of research – it’s invaluable. But it’s so important to me that you have this urgent report that I’ll send it to your inbox free of charge. It’s completely on the house. As I mentioned before, stem cells don’t stop at blood sugar. There’s almost nothing they can’t repair. Remember: Stem cells work by generating new cells in your body in place of aged, damaged, or dead cells… of any kind. This means it can give you a like-new brain, heart, lungs, pancreas, and virtually any organ. And it can reverse the destruction caused by diseases and aging. All by harnessing your body’s own power to repair itself! 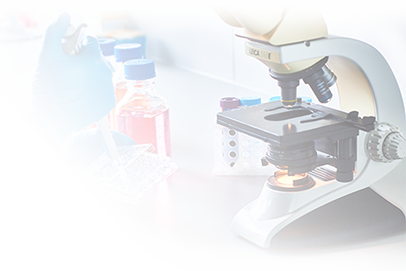 I’ve assembled the latest research on stem cells… including discoveries I’ve made at the Sears Institute for Anti-Aging Medicine. Today I’ll send you this invaluable research completely free of charge. That’s two e-Reports, normally priced at $79.90, that you’ll get completely free. It’s all part of your test-run of RECOVERY Metabolic Rescue. And because I want you to see the same results my patients have seen again and again. Results that have changed their lives, almost overnight. I’ve asked my customer care manager to put together the best possible solution to get you started immediately. I’ve asked her to include my two brand-new dossiers as my special gift to you. Janet will tell you more. Hi, my name is Janet. I’m Dr. Sears Customer Care Manager. 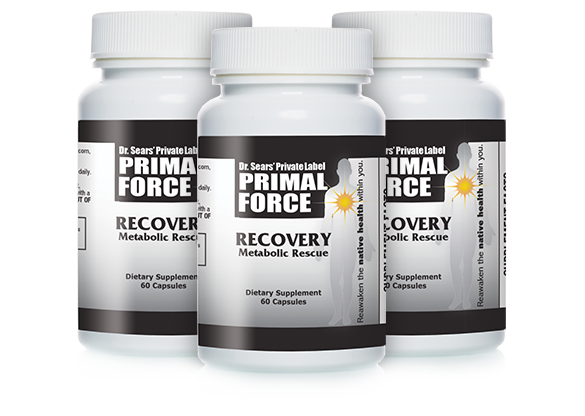 Because Dr. Sears is so confident that his brand new RECOVERY Metabolic Rescue will have an immediate impact on your health, he has asked me to put together the best possible solution to get you started immediately. But because our first shipment was limited, I will only be able to give you this very special offer for a limited time. You see, Dr. Sears wants you to experience the same results his patients have been seeing. ✓Your blood sugar levels look healthier than ever. ✓Your cholesterol and triglycerides, too. ✓Your weight begins melting off your abdomen. ✓Your energy returns in full blast. ✓Your heart beats strong again. ✓Your body finally feels like its “clicking” for you. It’s what Dr. Sears has seen this stem cell protocol do for his patients, again and again. Sometimes in a matter of hours! When you order right now, you’ll get a free membership in Dr. Sears’ VIP Auto Delivery Service, which means you don’t have to worry about re-ordering. Just when your initial order is about to run out, our system will alert us and we’ll securely re-charge your card to rush you a fresh supply of RECOVERY Metabolic Rescue. You can cancel your delivery or change the schedule at any time, for any reason. Auto Delivery is the only way we can guarantee you the best price and a steady supply. And I think you”ll really love it — because it saves you the hassles of reordering — and it entitles you to FREE shipping for as long as you remain a member. As an Auto Delivery VIP, you won’t pay a cent for shipping… ever. So once you try RECOVERY Metabolic Rescue and love it — you don’t have to lift a finger to keep getting it. 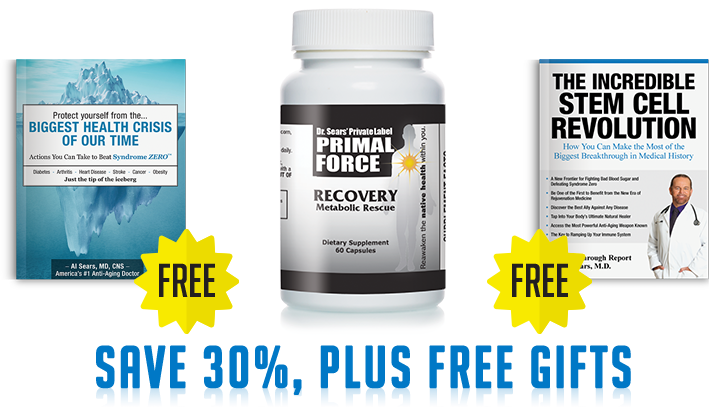 Absolutely free when you take advantage of this special RECOVERY Metabolic Rescue offer today. 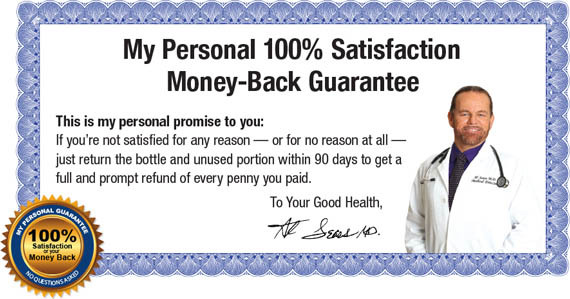 As always, you will have Dr. Sears’ Risk Free, money back guarantee. 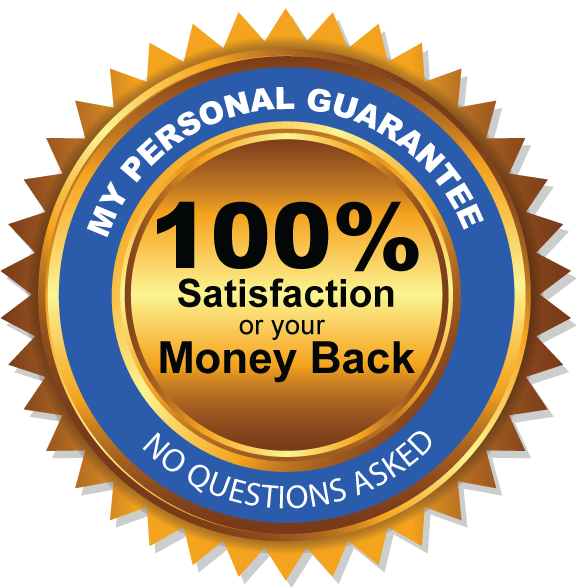 If at any time in the next 90 days, for any reason — just send your current bottle back, and we’ll send you a refund of every penny of the purchase price. So there’s really nothing to think over — you don’t even have to decide anything right now. Just try it! Just say the word within the first 90 days and get your money back. Today — if you select the 3-month, Auto Delivery option — you can lock in this blood sugar breakthrough and save 30%! So please, don’t delay. You can take advantage of this offer right now. And, start feeling younger heart, brain power, energy and vitality. So don’t wait any longer. Click the Order Button below NOW. 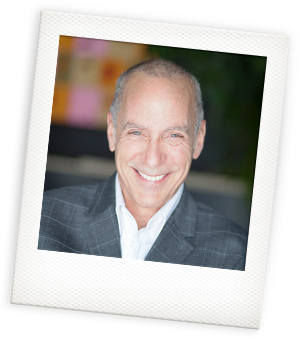 Al Sears, M.D., is a medical doctor and one of the nation’s first board-certified anti-aging physicians. As a board-certified clinical nutritionist, strength coach, ACE-certified fitness trainer and author, he enjoys a worldwide readership. Dr. Sears and his breakthrough discoveries have appeared on more than 50 media outlets including ABC News, CNN, ESPN, Discovery Channel, National Geographic, Lifetime and many more. As the first U.S. doctor licensed to administer a groundbreaking DNA therapy that activates the gene that regulates telomerase, Dr. Sears made history by bringing telomere biology to the general public. In 2006, Dr. Sears shocked the fitness world by revealing the dangers of aerobics, "cardio" and long-distance running in his book, PACE: The 12-Minute Fitness Revolution. In 2004, Dr. Sears was one of the first doctors to document the true cause of heart disease and expose the misguided and often fatal drugs-and-surgery approach to heart health. In The Doctor’s Heart Cure, Dr. Sears outlines the easy-to-follow solution that effectively eliminates your risk of heart disease, high blood pressure and stroke. An avid lecturer, Dr. Sears regularly speaks at conferences sponsored by the American Academy of Anti-Aging Medicine (A4M), the American College for the Advancement of Medicine (ACAM) and the Age Management Medicine Group (AMMG). 1. Washington University School of Medicine. “Stem cells from diabetic patients coaxed to become insulin-secreting cells.” Science Daily. May 10, 2016. 2. Becker G. “Quantum Leap in Diabetes Treatment.” Diabetes Daily. July 15, 2017. 3. Colino S. “Stem Cells May Hold the Fix.” U.S. News. Oct. 4, 2017. 4. Gunasekaran U., Gannon M. “Type 2 Diabetes and the Aging Pancreatic Beta Cell.” Aging. June 2011. 5. Joslin Diabetes Center. (2017). Discovering How Insulin-Producing Cells Shown Their Age. [News Release]. 6. 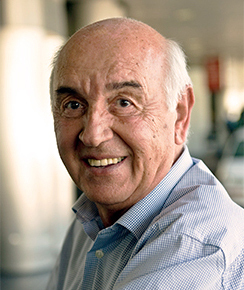 Defrancesco L. “Beta Stem Cells: Searching for the Diabetic’s Holy Grail.” The Scientist. October 2001. 8. Pagliuca F., et al. “Generation of Functional Human Pancreatic β Cells In Vitro.” Cell. October 9, 2014. 9. Trafton A. “No more insulin injections?” MIT News. January 25, 2016. 10. Couri C., et al. “C-Peptide Levels and Insulin Independence Following Autologous Nonmyeloablative Hematopoietic Stem Cell Transplantation in Newly Diagnosed Type 1 Diabetes Mellitus” JAMA. April 15, 2009. 15. Zhang Y. “UNC scientists turn human skin cells into insulin-producing stem cells.” Biochemistry and Biophysics.” 2008. 19. Blanding M. “Feed Your Stem Cells.” Tufts Now. October 19, 2015. 20. Chuengsamarn S., et al. “Curcumin Extract for Prevention of Type 2 Diabetes.” Diabetes Care. 2012. 21. Orpen A. “Turmeric compound boosts regeneration of brain stem cells.” BioMed Central. 26 Sep 2014. 22. Osmond R., et al. “Stem Cell Therapy and Curcumin Synergistically Enhance Recovery from Spinal Cord Injury.” PLoS ONE. February 18, 2014. 23. Chen T., Shen L., et al. “Rapamycin and other longevity-promoting compounds enhance the generation of mouse induced pluripotent stem cells.” Aging Cell. 2011 Oct.
32. Rahman I., et al. “Serum sialic acid changes in non-insulin-dependant diabetes mellitus (NIDDM) patients following bitter melon (Momordica charantia) and rosiglitazone (Avandia) treatment.” Phytomedicine. 2009. 33. Baskaran K., et al. “Antidiabetic effect of a leaf extract from Gymnema sylvestre in non-insulin-dependent diabetes mellitus patients.” J Ethnopharmacol. 1990 Oct.
34. Shanmugasundaram ER., et al. “Gymena sylvestre appears to bring about blood glucose homeostasis through beta cell repair/regeneration.” Evid Based Complement Alternat Med. 2008 Mar. 35. Wang Y., et al. “3K3A-activated protein C stimulates postischemic neuronal repair by human neural stem cells in mice.” Nature Medicine. August 22, 2016. 37. Scutti S. “‘Unexpected fountain of youth’ found in cardiac stem cells, says researcher.” CNN. August 14, 2017. 38. American College of Cardiology. (2016). Stem Cell Therapy Improves Outcomes in Severe Heart Failure [Press release]. 39. American College of Cardiology. (2016). Stem Cell Therapy Improves Outcomes in Severe Heart Failure [Press release]. 40. Monks K. “ ‘Miracle’ cells could cure blindness.” CNN. March 11, 2016. 41. Salk News. (2016). Turning back time: Salk scientists reverse signs of aging [Press release]. 42. National Institutes of Health. (2017). Stem cell transplants may induce long-term remission of multiple sclerosis [Press release]. 43. Punsky K. “Mayo Clinic finds surprising results on first-ever test of stem cell therapy to treat arthritis.” Mayo Clinic. December 6, 2016.